The Mitsubishi Electric KD range of contact image sensors has been further extended with the addition of high-speed monochrome versions. The monochrome versions operate at scan speeds of 1.8 m/s at 600 dpi, twice the speed of the colour models. Monochrome and colour models with no integral lighting have also been introduced for applications that require back lighting rather than incident lighting. Contact image sensors are an interesting alternative to line scan cameras for inspecting defects on flat products such as textiles, foils, glass, wood and other web-like materials. The new, high-speed monochrome versions are ideally suited to a multitude of applications, including dimensional measurements, inspection of parts stamped out on metal ribbon and the identification of dirt and debris in web inspection. The addition of models without integral lighting enhances the range of applications for the contact image sensors. Inspection of transparent materials can often be better carried out in transmission. Integral incident lighting is not needed for this as the illumination is provided by externally mounted back lighting. In addition, these models feature a very narrow sensor front end which allows them to be mounted flat with respect to the inspected object. 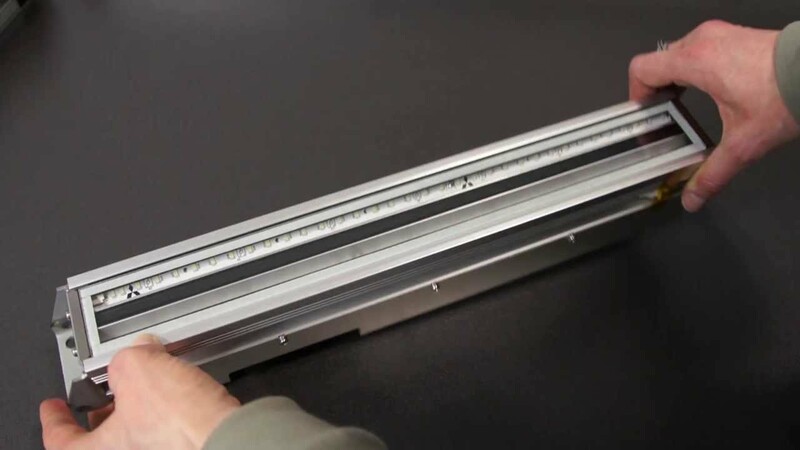 This gives additional options in terms of external dark field illumination, enabling defects to be visualized even on highly critical surfaces such as in security print inspection. Image formation in these contact image sensors is achieved via a double-row lens array, using gradient index rod-lenses, matched to the CMOS sensor to produce an image with virtually no angular distortion since the long sensor line maps the object on a one-to-one scale. This arrangement produces a quasi-telecentric image at each pixel, giving remarkable image uniformity. Both monochrome and colour versions are available in three different lengths, offering scan widths of 309, 617 and 926 mm. They can also be combined to offer extended lengths. Being compact in size, they can be mounted in narrow spaces and can be easily set-up and adjusted. Image data output is provided via a standard industrial CameraLink interface.